I am 3/4ths Sri Lankan (Jaffna) Tamil, 1/8th Sinhalese and 1/8th Irish; a proper mutt. Maternal: Grandfather a Govt Surveyor married my grandmother of Sinhalese/Irish descent from the deep south, in the early 1900’s. They lived in the deep South, are generally considered Sinhalese and look Eurasian (common among upper class Sinhalese). They were Anglicans (Church of England), became Evangelical Christians (AOG) in 1940's, and built the first Evangelical church in the South. Paternal: Sri Lanka (Jaffna Tamil). Paternal ancestors converted to Catholicism during Portuguese rule (1500's), went back to being Hindu and then became Methodists (and Anglicans) around 1850 (ggfather). They were Administrators and translators to the British, poets and writers in Tamil and English. Grandfathers sister was the first female Tamil novelist of modern times I was brought up as an Evangelical even attending Bible study till about the age of 13. Agnostic and later atheist. I studied in Sinhala, did a Bachelor in Chemistry and Physics in Sri Lanka. Then did Oceanography graduate stuff and research in the US. I am about 60 years old, no kids, widower. Sri Lankan citizen (no dual) and been back in SL since 2012. Live in small village near a National Park, run a very small budget guest house and try to do some agriculture that can survive the Elephants, monkeys and wild boar incursions. I am not really anonymous, a little digging and you can find my identity. This is a lot of reminiscing, and hopefully some guidance for young people who read this blog. I think I am a Science guy, and became IT/Finance guy in my 50’s. I loved Chemistry, specially Organic Chemistry, Benzene Rings and all that. By the age of 14 (O/L) I wanted to be a Chemical Oceanographer. I had a cousin (Ranjan Perumal) who was one of the early divers in SL. Arthur C Clarke and Mike Wilson (Siva Kalki) were some of the first modern divers in Sri Lanka. Mike Wilson became a hermit, my cousin Ranjan is an Evangelical Pastor, in my opinion a real Christian (or people person). Anyway, back to Science and English Literature. In year 8 (age 12) we had to chose between Science and Arts. For O/L (year 9 and 10 in 70’s) we had to do 8 subjects. English, Sinhala/Tamil, Math and Divinity (religion). 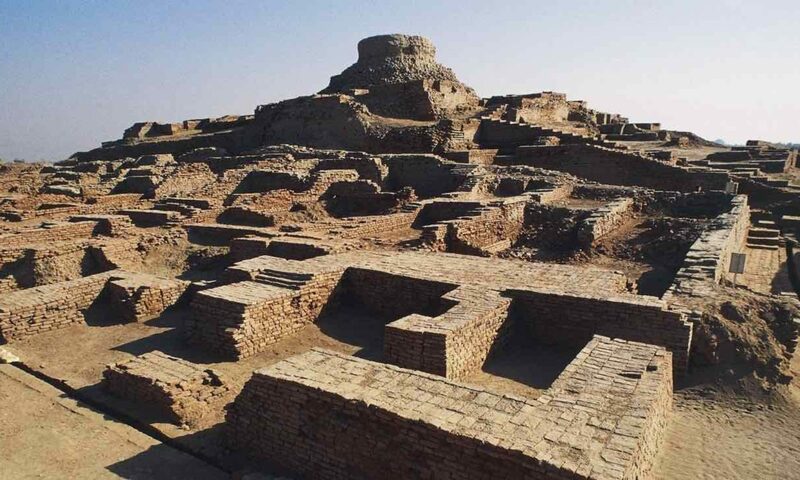 The smart Buddhists and Hindus did non RC (Roman Catholic) Christianity. It was easy, almost like Geography/History. No necessity to remember stanzas. So for O/L (age 14) my optional subject was English Lit. I did Macbeth, Emma (Jane Austen) and some book of poetry. Vaguely recall John Dunne (?) and Ozymandias. Rubaiyat of Omar Khayyam, I had read a few years before bcos my father had it on his bookshelf. To be honest Shakespeare did not rock my boat, possibly bcos my father liked it too much. Emma was not OK either, though a few years later I read Pride and Prejudice and liked it. Vanity Fair by Thackeray (? ), Moonstone by Wilkie Collins. The punch line, I was an alcoholic/heavy smoker by the age of 12-14. I worked around my Protestant work ethic parents. Photo below, I am the guy in the middle with the big grin, probably when I was 22. 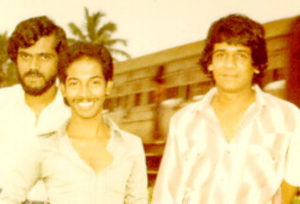 My classmate on right of me in photo Lakshan Amarasinghe (RIP), long dead (1998). On left of me Dayananda Kapuduwa. A another drinking pal. In the US married to an First American. He paid for 3 of my US Grad Uni Application fees (about USD 25 in 1987). And the other 3 applications by my maternal cousin, Ranjans Sister. I was not much different in size/looks when I got into the US. The Uni guys were cool, but not at my level of alcoholism. So hooked up with some eastern Long Island red necks. Greg Linka, Jim, Kevin, Isaiah Brown (the Jamaican guy), give a shout if you see this. I would drink these six footers under the table. Then I lost funding and stopped drinking for 10 years. Anyways, there has to be some moral to the whole story. This is Harlem in NY as I knew it in the mid 1990’s. Now its so, gentrified. My friends from upper Harlem (145th Street) are my family in the US. I am no citizen or Green card holder of the US. Hopefully, I will get my Social Security that I paid into with 3 H1B Visa Employment. I am not holding my breath for another 3 years. 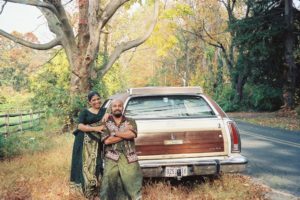 With my wife Chandra Wimalasiri (RIP, 2018; we separated in 2004) in Stony Brook, NY, 1991. USD 600 for the 1975 Ford LTD station wagon with 150K miles. Went to Louisiana, and another time to Florida. 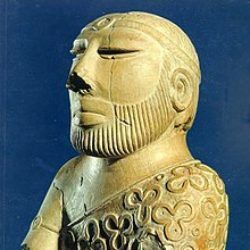 Any artifacts out in the UK that should be returned. 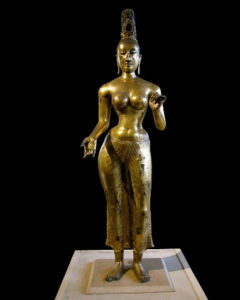 Gilded bronze statue of the Tara Bodhisattva, from the Anuradhapura period (8th century). The Bodhisattva Tara. Gilded bronze, Sri Lanka, 8th century CE. With her right hand, the bodhisattva makes varadamudra, the gesture of charity or gift-giving, while her left hand may originally have held a lotus. 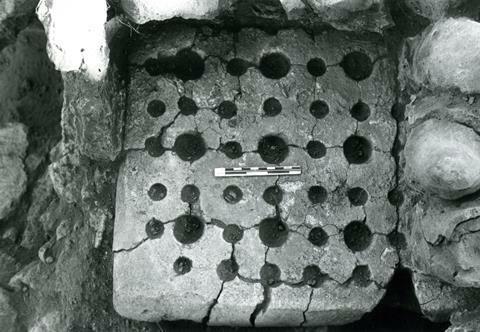 The image is solid cast and would once have had semi-precious stone or crystal inlaid eyes. The niche in the head-dress would have contained a figure of a Dhyani Buddha. This sculpture was found on the east coast of Sri Lanka between Batticaloa and Trincomalee and is evidence of the presence of Mahayana Buddhism in the Anuradhapura period of Sri Lanka. These doctrines are generally more associated with the north of India. Given by Sir Robert Brownrigg. I guess “Holocaust Deniers” all over the world. Just the excerpts from the reports during the period (Spanish American War 1898). 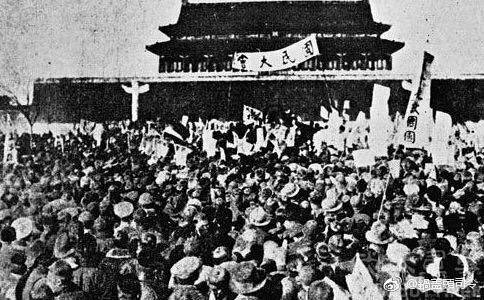 General Bell himself, who said “we estimated that we killed one-sixth of the population of the main island of Luzon—some 600,000 people.” (There is another Bell, George who also fought in the Philippines ). Also see Gore Vidals reply on comment questioning the numbers. Another Marine officer described his testimony. Please read the whole Post. Interesting pictures. Also President McKinley ‘s Christian reasons for the war.